This minimalist crossing of Egypt’s southern Sinai desert is an undertaking like no other. 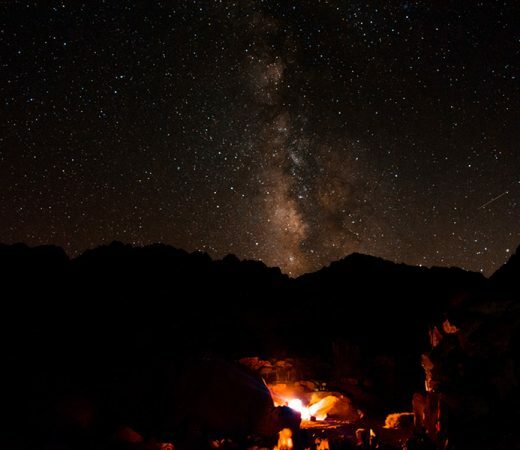 Eschew the trappings and distractions of modern technology, taking into the desert only the bare essentials, sleeping under the stars with no more than a Bedouin blanket. Days will be spent trading camels, bartering with nomads and climbing Egypt’s highest peak as part of this unforgettable 230 km desert journey. Sandwiched between the Mediterranean and the Red Sea, located in Egypt’s east, the Sinai Peninsula is the bridge of land between Asia and Africa. With little more than the clothes on your back, the primary goal of this 230km camel-supported desert traverse is to cross the southern Sinai from coast to coast. Nomadic in style, this culturally immersive expedition fosters a deeper connection with the vast desert and those who inhabit it, embracing the daily lives of the community with which you’ll be travelling, including the trading of camels, preparing local foods grown within the community and sleeping under the stars with just a traditional Bedouin blanket. The secondary, more physical aim of this expedition is to climb several desert peaks including Mount Sinai at 2285m and Mount Catherine at 2629m (Egypt’s highest peak). “I despise booking tours with companies. I avoid it at all costs. However, Secret Compass is different. The expedition to cross the Sinai Peninsula was top-notch in every way and I like that they push the boundaries on a challenge. It sets them apart.” – Mark Perkins, 2018 teammate. Leaving behind an often embarrassing amount of kit compared to the locals you will encounter en route, this is a ‘bare bones’ undertaking. All you really need to explore and appreciate the Sinai desert is a sense of adventure along with a base level of fitness and an open mind. In Sinai, we’ll create an experience using techniques honed by local Bedouin over thousands of years. This trek will be undertaken in a style seldom replicated anywhere in the world. You’ll receive an authentic Bedouin cloak, blanket, carpet and water bladder, carrying a minimum amount of kit (see Practicalities tab for more). Everything else will be left behind to step back in time and to keep within the spirit of this unique adventure. We’ll be using techniques almost forgotten by many local Bedouin and what’s caught the attention of the Bedouin is the way in which we are employing people from different tribes and families and not just from your standard ‘one-stop-shop’ fixer. We’re employing the talents of over 40 Bedouin spread across numerous families from five different tribes and camels will be taken from four different tribes. Your Farrwa (Bedouin cloaks) are being ordered and sent from tribes in the north of the Sinai peninsula. Bags are being made by 14 different women within the tribes of the highlands. Water bottles are being sourced and sewn into canvas by women within the Jebeliya tribe. Meat will be purchased from shepherds deep within the desert. Fish is being caught and dried by Bedouin in the coastal tribes in readiness to provision the team. Fruit, vegetables and herbs are being grown and picked by numerous families in the mountains and olives are being picked and crushed by others to make our olive oil. 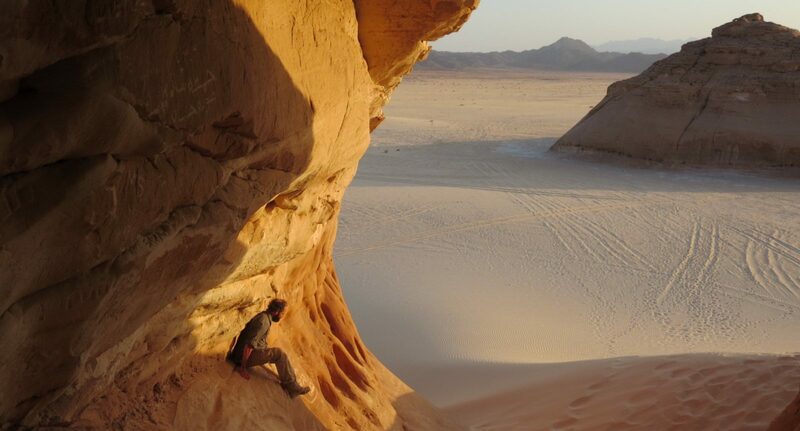 Your team will travel through the many facets of the southern Sinai desert. Expect tight sandstone slot canyons, vast sand dunes, gravel plains and jagged peaks including Sinai’s highest two; expect short sections of easy, ‘Grade 1’ scrambling. There are seemingly endless wadis and oases that give surprising bursts of green and colour. Alongside leadership from Secret Compass and Dave Lucas himself, you’ll make this minimalistic yet highly affecting journey with two of the Sinai’s very best Bedouin guides. 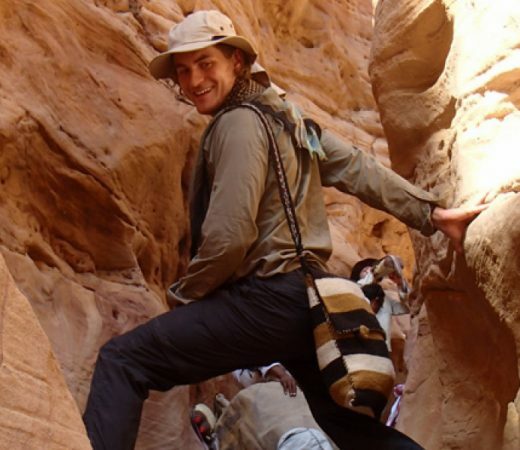 Their unparalleled desert knowledge, combined with their great command of English and an understanding of different cultures, makes them the ideal teachers on this once-in-a-lifetime experience. The team’s route will cross four different tribal areas, changing camels and their owners as we do so, as per Bedouin law. In this way, you’ll notice the slight differences between the various southern Sinai tribes while meeting more of the fascinating people who inhabit this harsh environment. Rather than guided tours with set daily plans, Secret Compass runs expeditions with framework itineraries. Read more about Our Approach here. The following is the outline plan for this culturally immersive Sinai expedition. A fuller itinerary is provided in the Sinai Expedition Handbook which is available on request or upon application to join the team. All teammates and Dave Lucas will meet at Sharm-el Sheikh airport at 1500 on the 14 September 2019. Please ensure that your flight allows you time to clear customs and collect your bags by this time. The first night will be spent in a Bedouin camp on the shores of the Red Sea. There will be an expedition briefing and a meeting with your local guides. Extra bags can be handed over at the beach camp and will be returned to you at the end of the expedition in Dahab. 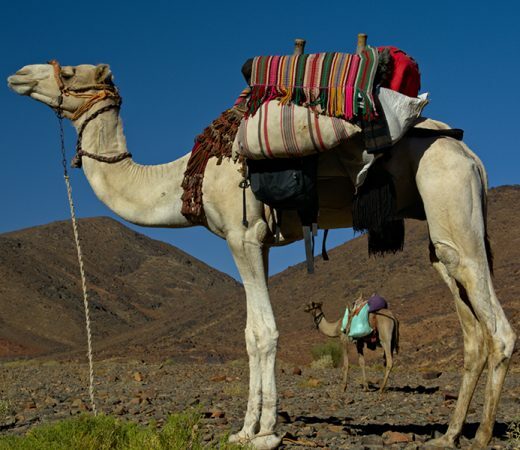 Setting off from the Bedouin Camp, you’ll trek west across the South Sinai desert. Expect to collect firewood to roast food or animals bought en route, help the Bedouin make fresh bread in the mornings and to learn traditional recipes for Baba Ganoush. A memorable aspect of this expedition is waking before dawn to the chime of the brass coffee grinder following a night’s sleep wrapped in your Bedouin cloak. There will be early mornings and long days spent walking through varied and challenging terrain but always with a welcome siesta during the intense heat of midday. During this 230km desert trek across the desert, you’ll climb several peaks, including Mount Sinai and Mount St Catherine. Having successfully crossed the desert, your team will reach the road along the western shore of South Sinai, bordering the Gulf of Suez. From here, you’ll drive to Dahab for some well-earned luxuries (showers, beds etc) and for an afternoon spent relaxing by the beach before a final celebration. The expedition officially ends in Dahab after breakfast on 29 September 2019 with team members free to extend their stay or to make arrangements for return flights. Please be aware that Dahab is approximately 75 minutes’ drive from Sharm el Sheikh airport so do factor this in to your planning. Transfers back to the airport are each teammate’s responsibility. Secret Compass expeditions are achievable by anyone with a healthy lifestyle and a good level of general fitness. Team members should be willing to be part of a team working together to achieve the goal of the expedition. 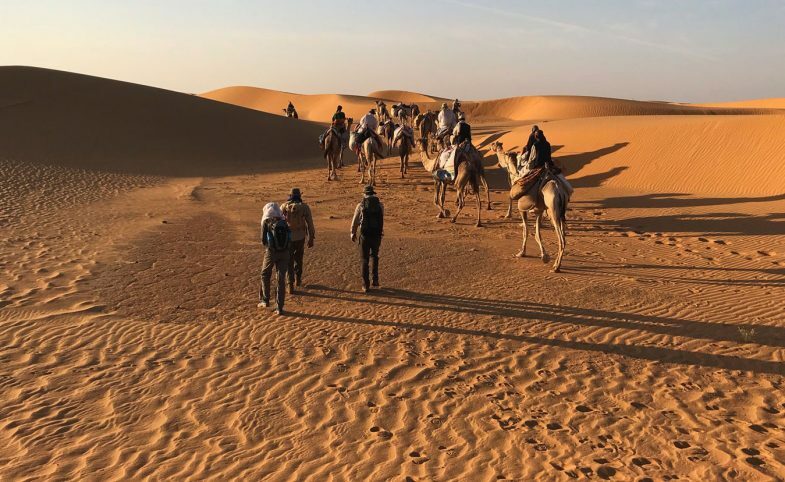 On this expedition you won’t be carrying heavy bags but the desert environment offers a very different style of living that can prove physically and mentally challenging. 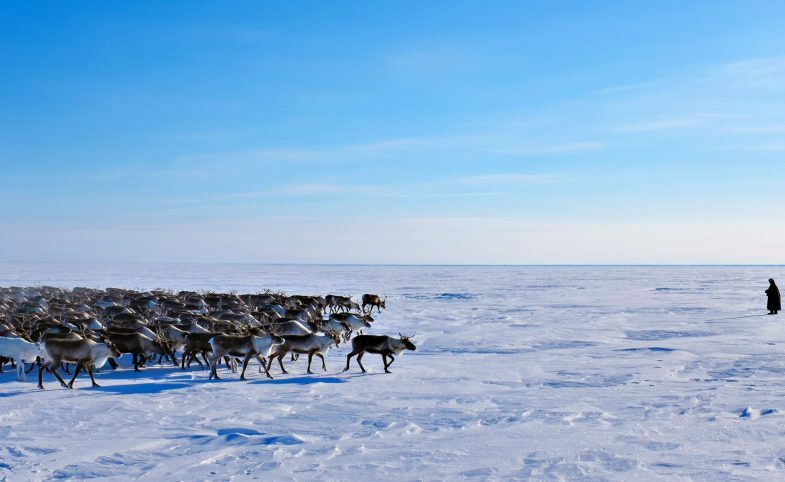 Trek: up to 30km per day for 13 days. Carry: up to 5kg per person. Climate: daytime temps up to 40°C, cooler at height and at night. Professional Secret Compass leader with full communications and medical kits. Handmade water bladder and knitted satchel. International flights/ travel to and from Egypt. Transfers from Dahab to Sharm el Sheikh airport at the end of the expedition. Personal equipment (kit list in Handbook). On application to join this culturally immersive expedition, potential teammates will receive a detailed Expedition Handbook. Here are some expedition-specific questions and our general FAQ will answer many other questions. Get in touch if your question remains unanswered. What do you mean by minimalist? In contrast to many of our kit-heavy expeditions, the style of this trip is very different. Most of the key items will be provided by the Bedouin and Secret Compass will provide a (very short) kit list for the remainder. Team members are encouraged to relax and leave behind the distractions of modern life. This is a minimalist style expedition so we are encouraging team members to unplug and unwind. If you have to bring electronics with you, please be aware that there will be no access to power throughout the 13 days of the trek. 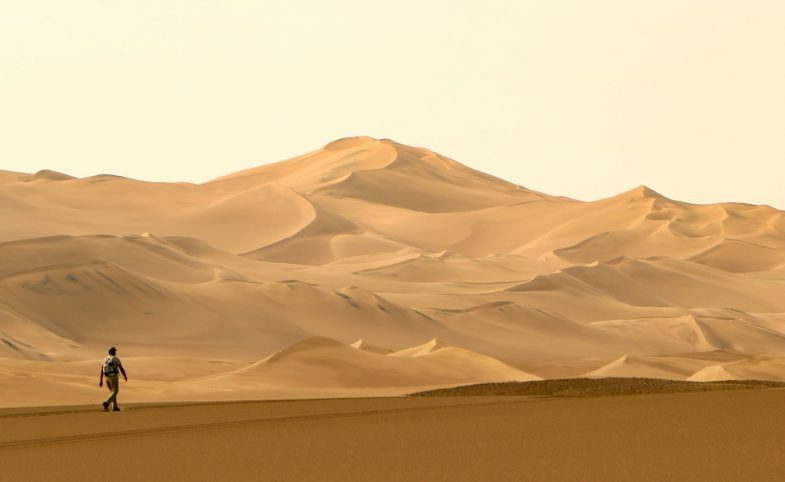 Will my camera work in the desert? 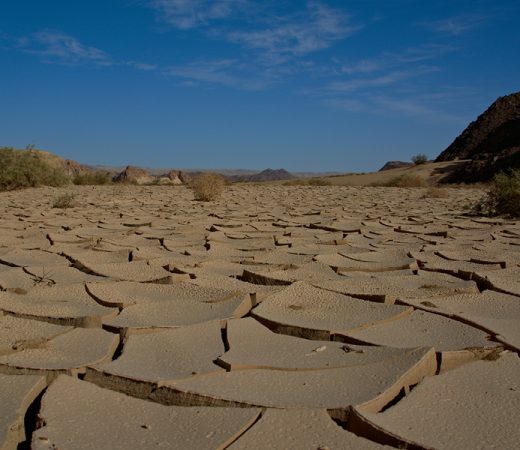 Cameras should not be that affected by the heat and dryness (if it reaches over 45 degrees they might struggle but this would be unseasonably hot). Your best bet is to keep your camera in its bag until you use it and don’t keep in the direct sunlight for too long. The main problem is the sand itself. Grains can easily get into the lens systems, particularly compact cameras with zoom lenses. Ones with electronic lens covers are most at risk. The best cameras to use are sealed waterproof cameras which have no external working lenses so no sand can egress them. If using an SLR, then take care to prevent sand getting into a lens housing. Using Prime fixed focal length lenses can help. Take a small paintbrush, a puffer bottle or, even better, a compressed air canister (probably bought in-country if flying in) to blow away sand and grit from moving parts. Take care around the sensor and never wipe this if sand is on the sensor. Take particular care if the wind is blowing or where the sand is very fine. There will be signal in Sharm el Sheikh and Dahab and at various points throughout the trek (usually partway up a mountain). Teammates with dietary requirements are welcome to apply for this expedition and should state their specific requirements when applying, Secret Compass may ask for further details or call to discuss your requirements. The food situation is outlined in the Practicalities tab. Apply for this expedition team using the button on this page to receive your Expedition Handbook with fuller details. Secret Compass is then on hand to answer any questions or to firm up your place on the team. The Handbook contains a kit list for this expedition.